"Read it, this is a great book,” said my friend, a World War II veteran, translator, poet and atheist. This was shortly after Lyudmila Ulitskaya’s novel, “Daniel Stein, Translator,” received Russia’s top book award, Big Book of 2007. My friend was right. The work, a feat of love and tolerance, will be published in the United States in 2011 by The Overlook Press. In 1941, in a small township in Western Ukraine, Nazi invaders drove a crowd of Jews into a square between an Orthodox church and a Catholic cathedral for a bloodbath, in which 1,500 people died. Eastern Europe’s huge expanses were transformed into a burning wasteland. It was a time when moral rules no longer held: a Christian priest could deny shelter to a fugitive hiding from the Gestapo, while a poor farmer might offer shelter. 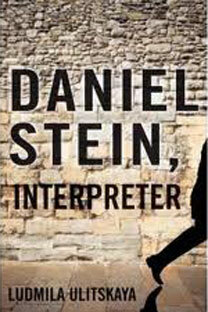 Daniel Stein, a young Jewish man, narrowly escapes death. His talent for languages - fluency in German, Polish and Belarusian - aids him as he pretends to be Polish and becomes a translator for the Belarusian police, the German Gestapo and later the Soviet NKVD. Wherever he was, Daniel Stein saved people. Thanks to his warnings, several hundred Jews escaped from the ghetto a day before a planned massacre by putting himself in peril. Stein comes to the conclusion that his life was granted to him on so many occasions that it no longer belongs to him. Hidden by Catholic nuns, he converts to Catholicism and becomes a priest. It is both remarkable and wonderful that Lyudmila Ulitskaya did not invent her character. Stein is based on Oswald Rufeisen, a Carmelite monk. In the novel, as in life, Daniel Stein realizes his cherished dream and travels to Israel, so dear to his heart, where his brother had settled. Disappointment awaits the priest in the Holy Land: local authorities grant him Israeli citizenship but refuse to acknowledge his Jewish origin. Jews and Jewish converts to Christianity, Catholics and Orthodox believers, Arab Muslims and Christian Arabs all gathered in this ancient land torn by passion, and mutual hostility poisons their lives. Meanwhile, Father Stein nurtures an incredible dream of traveling back in time to the age when Christianity and Judaism were united. Ulitskaya is considered one of Russia's most important writers. “Daniel Stein, Translator” was very well received in Russia, but not by the Russian Orthodox Church, which felt a duty to find and expose Father Stein’s theological errors. The church aside, the novel has been translated in many European and Asian countries, and it is due to come out in the United States. Its main idea goes right to the heart: God is Mercy. And the language of Mercy needs no translation.